Stuart Hutchinson studied at the Royal Academy of Music, graduating with six prizes, diplomas and an Honours Degree, later continuing his studies with Leonard Bernstein and Sir John Pritchard while working as their assistant. Stuart Hutchinson has held the posts of Head of Music and Chorus Master for the Buxton International Opera Festival, Dublin Grand Opera and Wexford Festival Opera. Stuart has also worked in freelance capacity with the BBC Choral Society, the BBC Choir and the Brighton Festival Chorus. He has also worked on the music-staff of English National Opera, Opera North, Opera 80, New Sadler's Wells Opera and the Wagner Society. 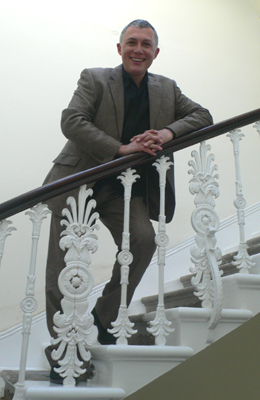 Stuart Hutchinson was appointed an Associate of the Royal Academy of Music in 1997.